This impressive Progress Hand Blender is a great addition to any kitchen. The 350 W power and 2 speed settings allow you to easily whip up your favourite healthy soups, smoothies and sauces for all of the family. 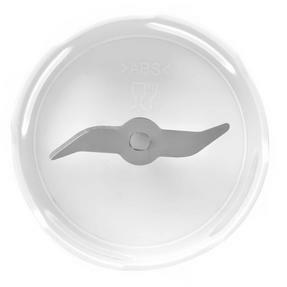 Suitable for a wide range of blending tasks, let the stainless steel blades do all the hard work for you. 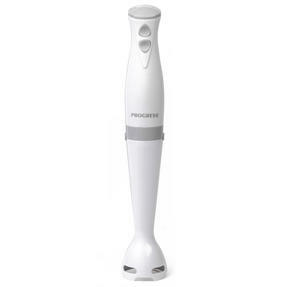 After use, simply use the detachable design to clean up quickly and easily. 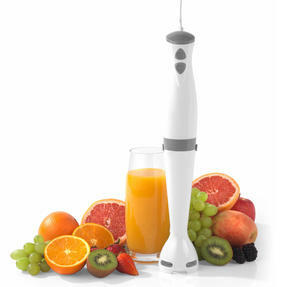 Measuring just 25 l x 14 w x 17.2 h cm, you can effortlessly store this device in your kitchen cupboard. 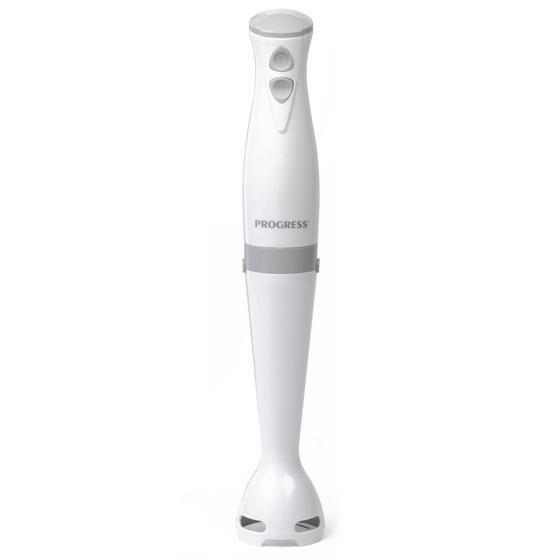 Whether you are looking to improve your healthy eating or you are in a busy household, the Progress Hand Blender is helpful addition. 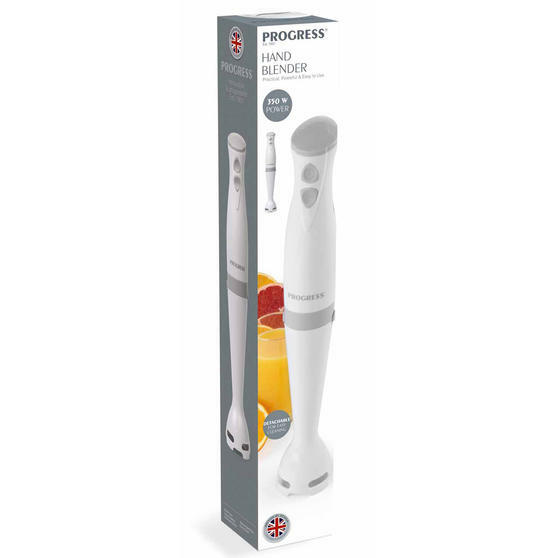 Great for whipping up a smoothie for one or soup for all the family, the hand blender has two speed modes to suit a variety of recipes. With 350 W, the practical blender uses durable stainless steel blades to easily blend together a whole range of healthy ingredients. A clever detachable design means cleaning the device is easy, once finished store away the 25 l x 14 w x 17.2 h cm blender with ease. 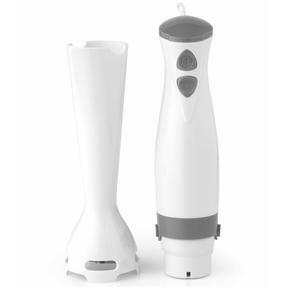 The minimalistic white plastic shaft with an injection of cool grey accents makes this stick blender perfect for all kitchen décor.